Before archery programs existed, an archer would choose their arrow shaft (spine) after looking at a chart provided by the arrow’s manufacturer. This generally would get the archer in the ballpark as far as choosing the proper spine, but it was far from an exact science. The 2 axes that would be represented on a spine chart would be draw length and draw weight. This resulted in a good “guestimation” of what arrow spine should be used. The problem with arrow charts is that two bows may be the same draw weight and draw length but require two differently spined arrows. Why is this? Well, each bow has an individual power factor. Of the two bows mentioned, one of the bows may have a faster IBO speed and higher power factor. This bow will require an arrow with a stiffer spine in relation to the other slower bow. It is a situation like this that a The Archery Program Pro was made for. 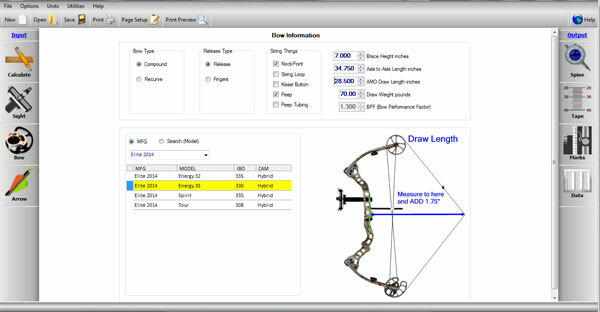 With The Archery Program Pro software, the guesswork is eliminated and accurate scientific arrow spine suggestions are delivered. 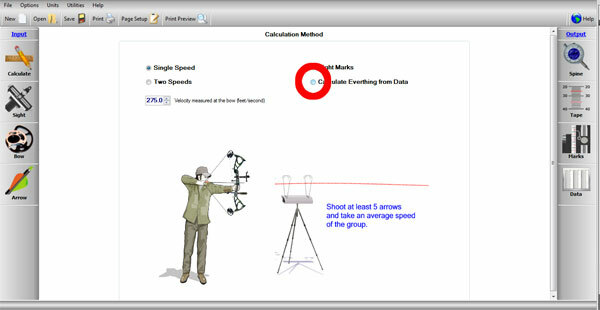 The Archery Program Pro offers much more than just spine information. accurate spine readings based off arrow shaft, length of shaft, tip weight, etc. The Archery Program actually offers three programs. TAPes – a very easy to use program for making the perfect sight tape or pin gap guide in 7 easy steps. Spinal TAP – for the cost of a high quality arrow, this program is the simplest way to choose the right arrow for your setup. 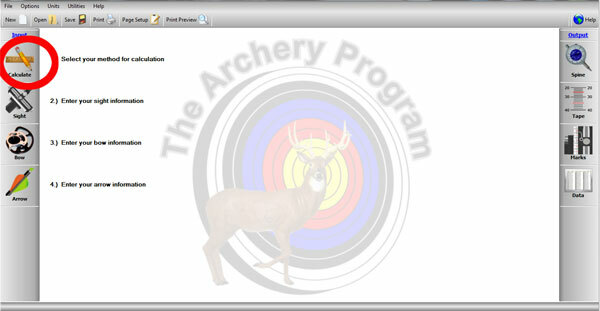 The Archery Program PRO – this program is a combination of TAPes and Spinal TAP plus more. 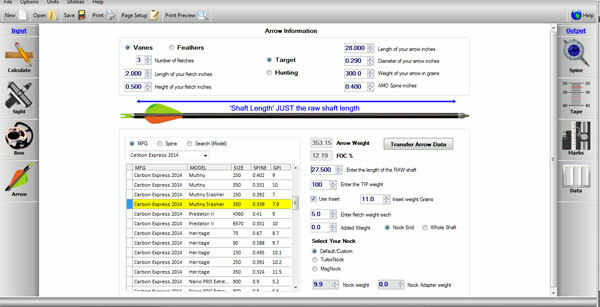 This quick demonstration is how to check and choose the right arrow shaft for your bow with The Archery Program Pro. Start the program and click calculate. Click on the Bow tab in the left column and select your bow. Set your draw weight, etc. Click on the Arrow tab in the left column and select the arrow you want to use. Customize your selection with the desired length, tip weight, etc. Click the Spine tab in the right column to check and see if this arrow’s spine is where you need it. As you can see, this software narrows it down for you. In this particular example, I am seeing that the arrow I selected is spined perfectly and comes in at just over the required 5 grains per pound of draw. If this arrow did not work for me, I can use the Ideal Spine suggestion and experiment with different shafts. This spine selection is only one example of the many things this program offers. For more information, visit their website here. This program is one of the two big players on the market. 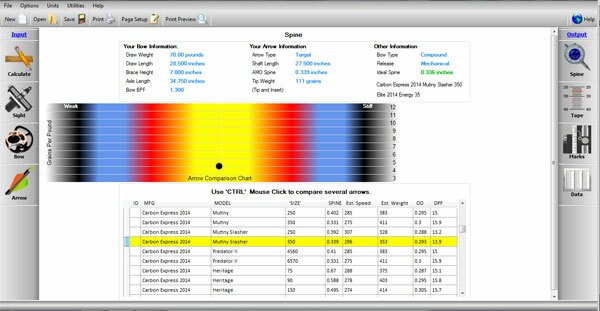 The Archery Program Pro or TAP Pro in our opinion is the easier of the two to navigate and use. We suggest purchasing this program is you are a serious archer. After reading your review, I thought this was a great idea, had potential to be a great tool. However it is not Mac compatible. Somethings should be upfront and honest. When I purchased the soft where I indicated I was unable to use this on my Mac Tony never replied back. It wasn’t until I launched a dispute claim through PayPal that he informed me of the FAQ where there was info about how to work it on a Mac. Buy an emulator was the answer. 3rd party software does not make it Mac compatible.